Lakeland Ophthalmology & Optical Shop (Parsippany) - Book Appointment Online! 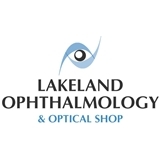 Lakeland Ophthalmology & Optical Shop (EyeDocNJ.com) offers professional comprehensive eye care in a pleasant and hassle-free environment. We have a friendly staff dedicated to taking care of all your needs, to help you in any way possible. Dr. Hirschfeld utilizes state-of-the-art equipment and techniques to give you the best results possible. You can rely on him for all of your eye care needs, including routine eye exams, prescriptions for eyeglasses and contact lenses, delicate laser and micro-surgical procedures, and much more. We are happy to fill outside prescriptions in our Optical Shop and will help you select the best eyeglasses available, all at competitive prices. We carry hundreds of frames from dozens of brands, so no matter what your style is, we have something for you. Whether you’re looking for eyeglasses for every day, sunglasses, or protective sports eyewear, we have it.